Finding the right breaststroke exercises is essential to learning and improving your basic technique in a straight forward, step-by-step way. Break down your breaststroke into simple steps with these easy to follow exercises. Once you have fine-tuned each part, piece it back together again and swim a smoother, more efficient breaststroke. Being able to practice each individual stroke part makes learning the stroke quicker and correcting bad habits easier. 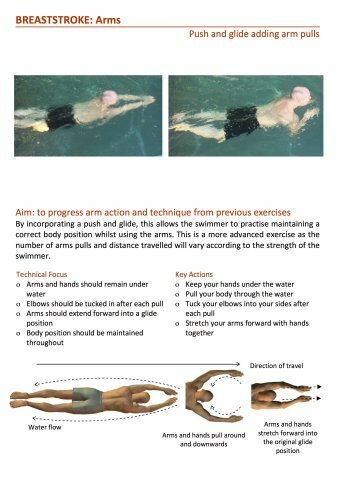 It allows you to learn each aspect of basic breaststroke one step at at time and really focus in on the finer details of the technique. Theses exercises are all in PDF format, meaning you can download them instantly and view them on your tablet or mobile device. Instantly download each exercise to your device, with no subscription or sign up required. How Will These Exercises Help My Swimming Stroke? Each exercise forces the swimmer to isolate a certain part of the stroke. For example, a leg kick exercise will force the swimmer to focus only on the technique tips and focus points for the leg kick. Practicing each exercise helps to learn and perfect the finer details of each part or eliminate any bad habits the swimmer never knew they had. 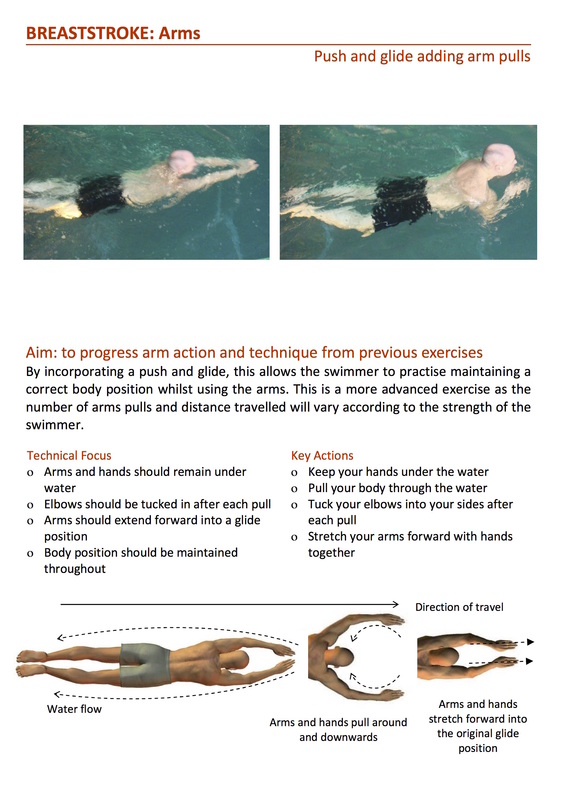 The swimmer will be able to quickly eliminate their bad habits and begin to swim breaststroke with a smooth and more efficient technique. Each exercise is delivered as a download link, meaning you receive them instantly (delivery time will vary depending on the type and quality of computer equipment and internet connection). Files are pdf format and require relevant pdf viewing software such as Adobe Acrobat. For all of these exercises plus a detailed description of breaststroke technique, including common mistakes and how to correct them, download How To Swim Breaststroke. For more details, click here.